This report describes the most extensive known gene discovery study from an oilseed that produces cyclopropane fatty acids, a novel industrial feedstock. Nature contains hundreds of examples of plant species that accumulate unusual fatty acids in seed triacylglycerols (TAG). 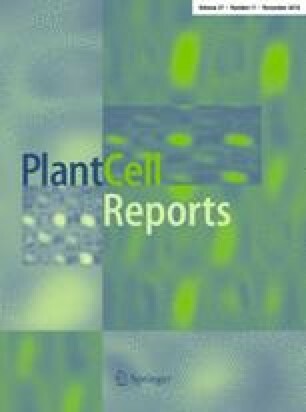 Although lipid metabolic genes have been cloned from several exotic plant species, the underlying mechanisms that control the production of novel TAG species are still poorly understood. One such class of unusual fatty acids contain in-chain cyclopropane or cyclopropene functionalities that confer chemical and physical properties useful in the synthesis of lubricants, cosmetics, dyes, coatings, and other types of valuable industrial feedstocks. These cyclopropyl fatty acids, or CPFAs, are only produced by a small number of plants, primarily in the order Malvidae. Litchi chinensis is one member of this group; its seed oil contains at least 40 mol% CPFAs. Several genes, representing early, middle, and late steps in the Litchi fatty acid and TAG biosynthetic pathways have been cloned and characterized here. The tissue-specific and developmental transcript expression profiles and biochemical characteristics observed indicate which enzymes might play a larger role in Litchi seed TAG biosynthesis and accumulation. These data, therefore, provide insights into which genes likely represent the best targets for either silencing or overexpression, in future metabolic engineering strategies aimed at altering CPFA content. Disclaimer: Mention of trade names or commercial products in this publication is solely for the purpose of providing specific information and does not imply recommendation or endorsement from the U.S. Department of Agriculture. The USDA is an equal opportunity provider and employer. The online version of this article ( https://doi.org/10.1007/s00299-018-2329-y) contains supplementary material, which is available to authorized users. Funding was provided by Agricultural Research Service (6435-41000-083-00D, 6038-21000-024-00-D).